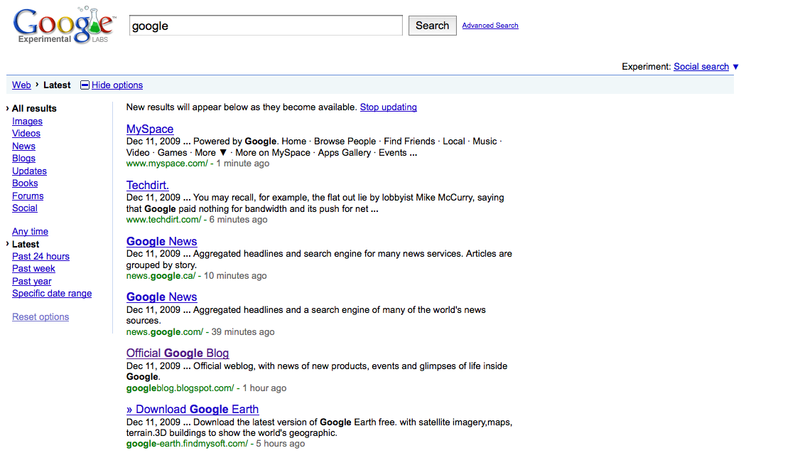 Google Real Time Search Results Exclude Google Brand? With much fanfare, Google has launched its version of real time search incorporating Twitter, Facebook, MySpace and Blog updates into their search results. The following video shows how Google answers the “What’s happening right now?” and the “What’s happening nearby?” questions (please forgive the Slumber Inc. soundtrack). Entering keywords into Google and selecting Anytime produces an amalgamation of relevant news and web results while selecting Latest often produces a condensed version of the Tweet Stream. Such doesn’t appear to be the case for one particular brand – Google. Selecting “Latest” in Google’s real time search for “Google” produces not a list of Tweets containing Google but instead a ho hum list of relatively tame looking mostly Google owned sites. Must be a fluke here on my computer. Surely its one or the other. 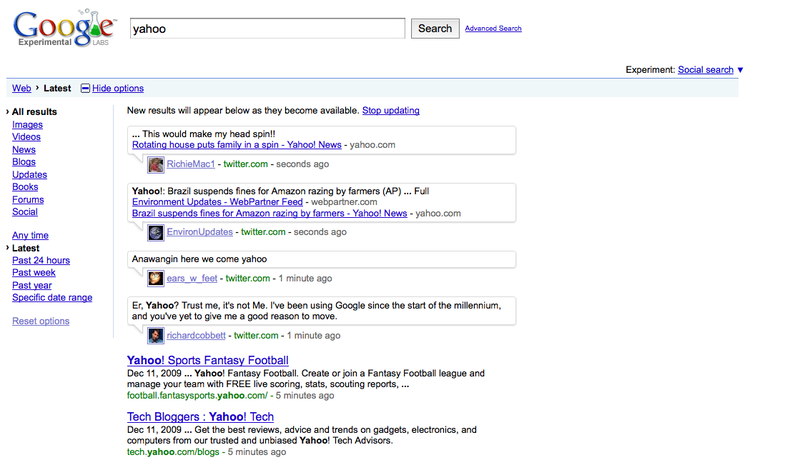 Why otherwise would real time searches for Yahoo produce Tweets containing Yahoo but not those searches containing Google? Does the same thing happen to you when you search for Google in their real time results? If so, the lack of Tweets about Google in Google’s real time search results must be the result of a bug. 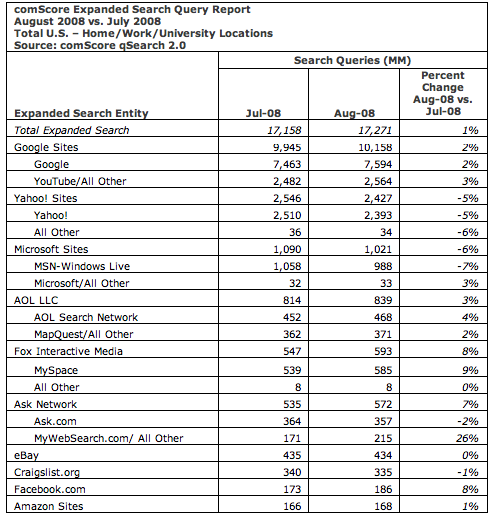 In the not too distant future, comScore will release its traffic stats for a variety of different web categories and properties for March 2009. 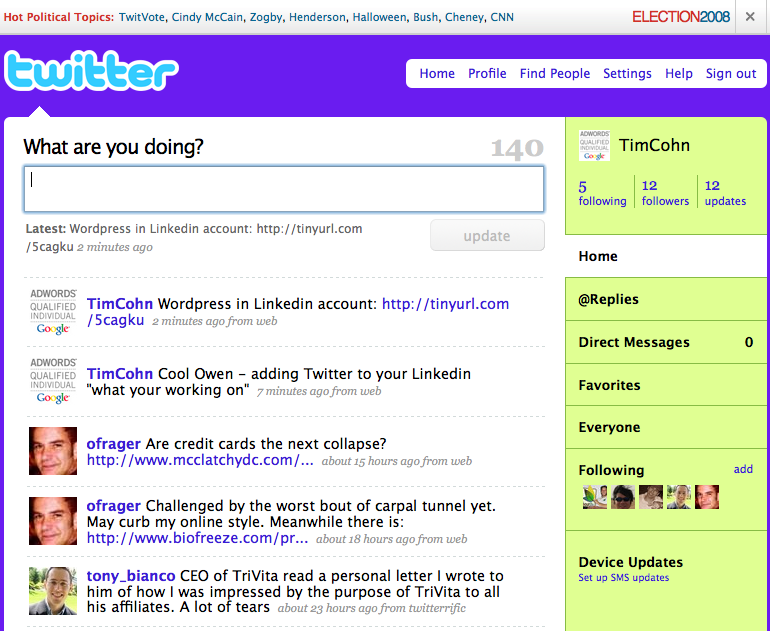 One web property’s traffic many observers will be following closely is Twitter.com. 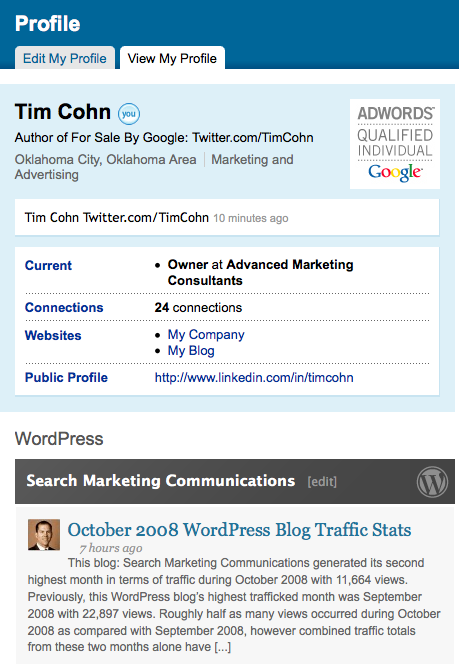 According to comScore during the month of February 2009, Twitter.com had 9.8 million unique visitors while Facebook had 275.6 million unique visitors and Myspace had 123.5 million unique visitors worldwide. 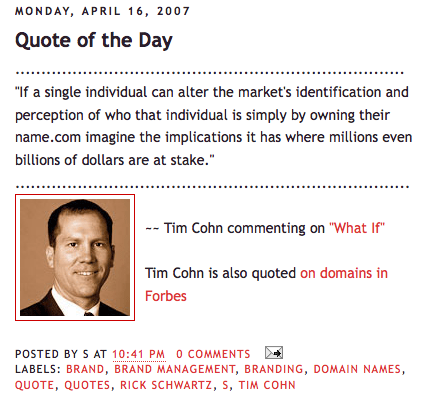 Based on my research, I am going to predict Twitter.com will have twice its February 2009 traffic in March 2009 – 19.6 million unique visitors.